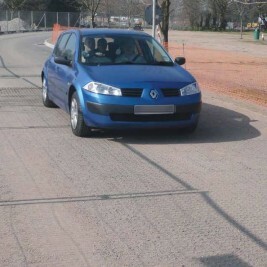 Bodpave 40 grass pavers are an interlocking cellular paving grid system for grass and ground reinforcement applications where there is regular pedestrian or vehicle use. 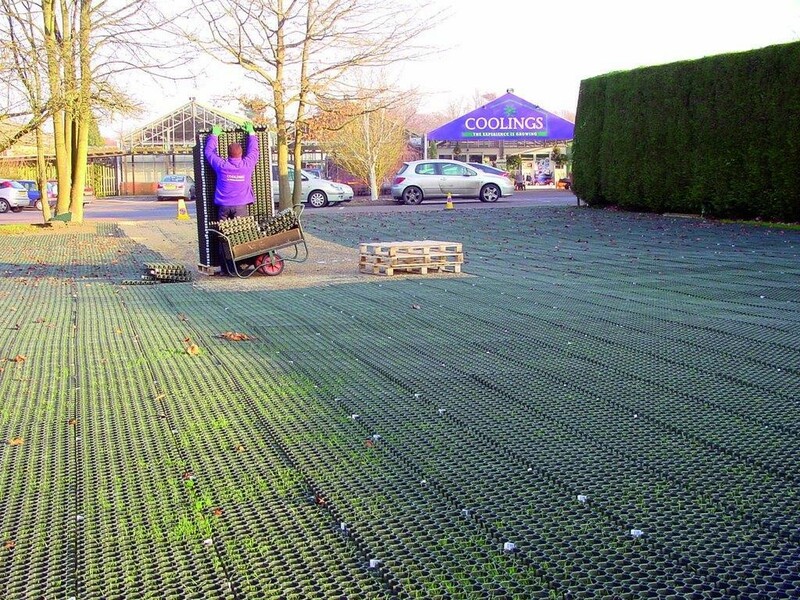 Bodpave 40 permeable paving grids can be installed with either a grass or gravel filled surface and allow full rainwater penetration. 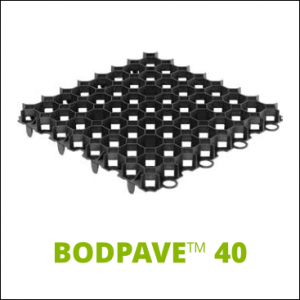 Manufactured from UV stabilised 100% recycled HDPE, in black or green, Bodpave 40 plastic pavers are strong, chemically inert & non-toxic, enabling them to provide a durable, safe & sustainable eco-friendly surface for trafficked areas. 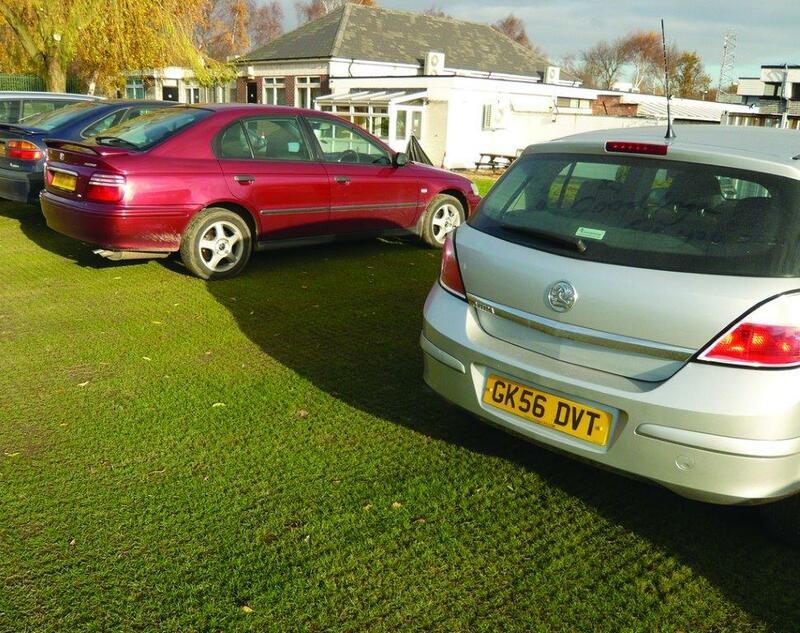 Bodpave 40 grass pavers are a cost effective solution to worn & rutted grassed areas, displaced gravel and for Source Control of surface water run-off. 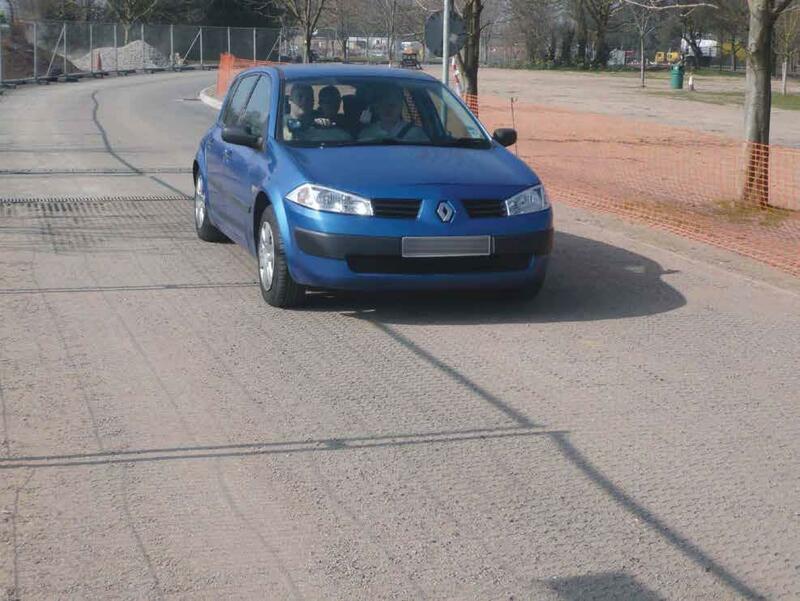 Bodpave 40 paving grids are designed to be installed onto a well prepared, free-draining and relatively even surface using either Terram ‘Reduced-Dig System’ or by employing a full sub-base construction incorporating a geogrid reinforcement layer. 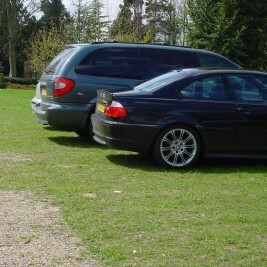 The ground reinforcement paving grids simply connect together and are filled with either a sand : soil rootzone and seeded for use as grass pavers which provides a visually pleasant and stable surface structure through which grass can be grown, or filled with an angular gravel for use as a gravel retention reinforcement surface. Construction profiles for each application will be determined by the specific site conditions & loading criteria. Detailed design literature and technical support are downloadable. 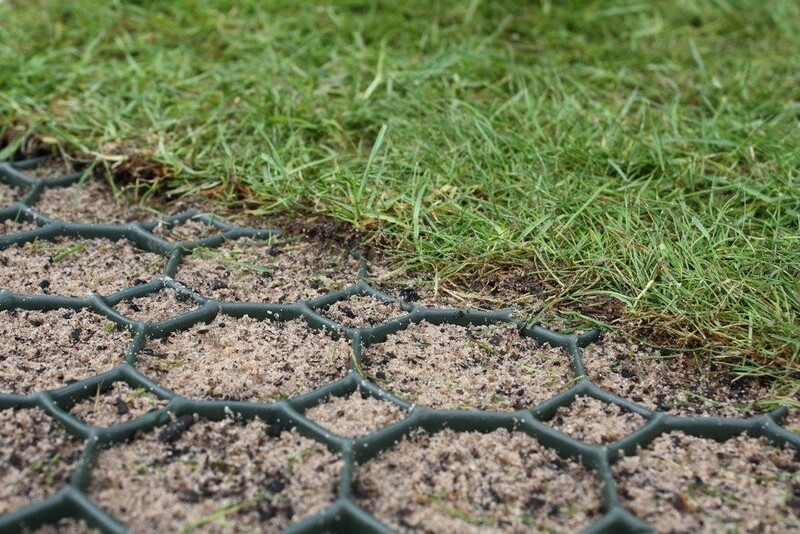 The grass reinforcement paver grids have a very open cell structure allowing unrestricted healthy grass root growth and water infiltration and can be used as part of a sustainable urban drainage system (SUDS). 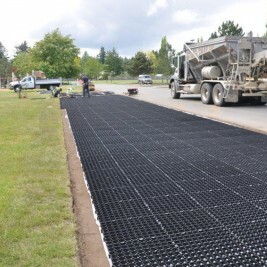 The paver grids also incorporate 25mm ‘ground-spikes’ on the base which fix through the adjacent paving grid’s edge-loops to provide the entire structure with firm anchorage and structural integrity and making them easy to install at rates of up to 100m² per hour. 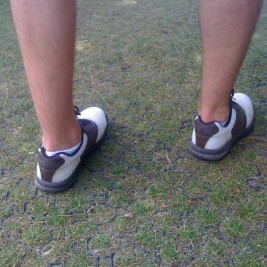 Bodpave 40 grass pavers should be installed onto a firm level sub-base (typically a DoT Type 3 or porous sub-base). 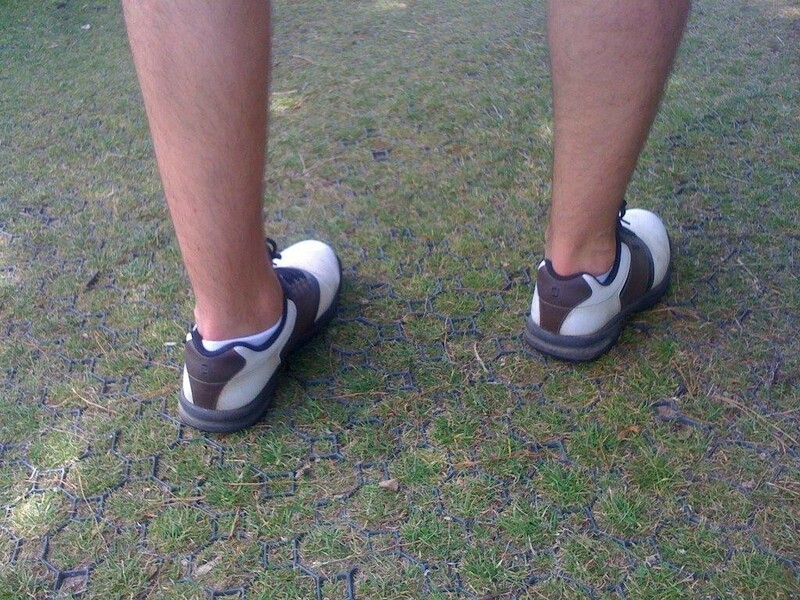 The thickness of this base is dependent on the existing ground conditions and the design load specifications. Please contact our technical team for further details. 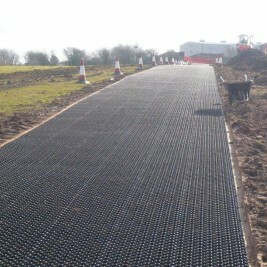 Sold ‘by the pallet’ BODPAVE 40 is available for immediate delivery across the UK and Ireland. 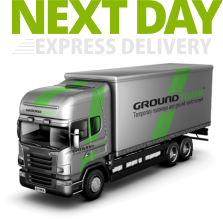 Volume discounts are available – Contact us for a Quotation.